How Far is KGiSL Platina? 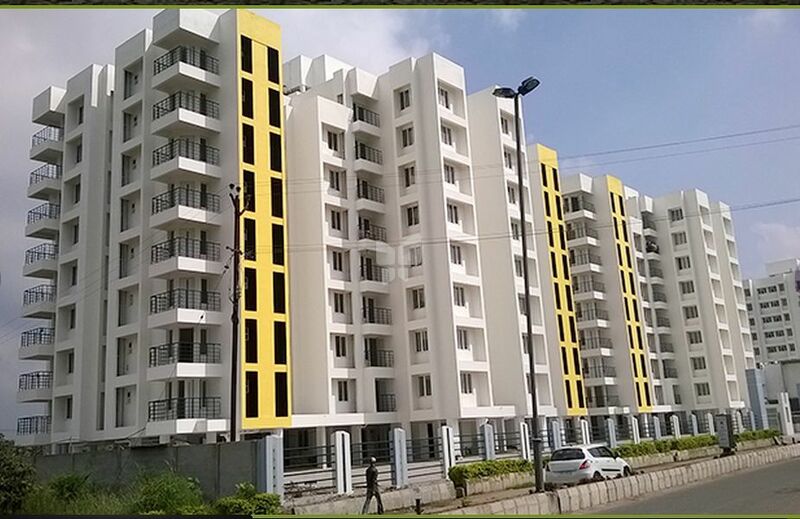 KGISL Platina is one of the residential developments by KGISL Group, located in Coimbatore. 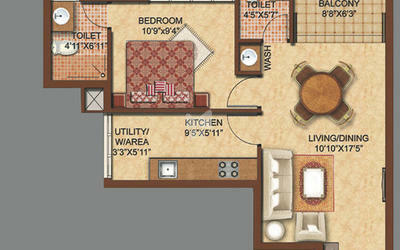 It offers spacious and skillfully designed 1 BHK, 1.5 BHK, 2 BHK, 3 BHK and 4 BHK apartments. The project is well equipped with all modern amenities and 24 x 7 security service to facilitate the needs of the residents. Earthquake resistant rcc frame structure with 9" thick outer walls and 4.5" thick partition inner walls. Vitrified flooring 2' x 2' in living, dining and bedroom. Ceramic tiles in toilets and balcony. Entrance door with teakwood frame and solid wooden paneled door. All other doors with rigid frame and membrane flush shutter. Powder coated aluminum framed windows and ventilators. CP fittings - platina or premium products. Walls - glazed ceramic tiles up to 7 feet height and paint finish above 7 feet. Black granite counter top with stainless steel sink, 2 feet high ceramic tiles above the counter. Aguaguard provision above counter. Premium putty and acrylic distemper for interiors. Cement paint for exteriors. Melamine polish for main door. 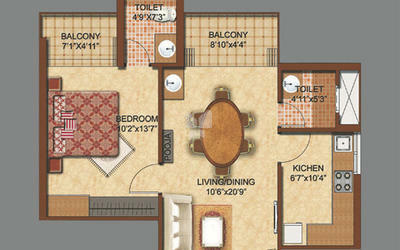 provision for a/c point in all bedrooms. All supply and drain lines with premium quality, unbreakable pipes and provision for solar water heater for all apartments. Finished with good quality flooring. Ground floor lobby with exquisite designer finish. High speed & fully automated elevators. KGiSTL emerged as a separate entity by group of KG Information Systems Pvt Ltd (KGiSL), enjoys an envious position in the Infrastructure sector in Coimbatore. KGiSL Group is strongly committed to provide excellence in whatever it does. We always strive to give the customer, the best in quality & offering excellent service. KGiSL Group offers services in an elegant way combining them with new age of architectural innovations. The KGiSL Group operates the city's first Electronic Hardware and Software Special Economic Zone (SEZ) in 250 acres named as CHIL/SEZ. The destination to top IT Companies in Coimbatore like KGiSL, KGFSL, Cognizant Technology Solutions, Robert Bosch, DELL, M Model, Ugam Solutions, Digital Nirvana, Pace Micro Technology, Planet Online, Hirotec Engineering Services (an American Japanese automotive industry), there are already more than 12000 Hi-tech Engineers with an yearly average earning potential of Rs.4 lakhs working here. With the rapid expansion of the IT Park, it is projected that there will be 40000 employees by 2016. KG Campus -the home for KGiSL Institute of Technology (KITE), KG College of Arts and Science, KGiSL - Institute of Information Management, Coimbatore's flagship IT Companies namely, KG Information Systems Private Limited and KG Financial Software Private Ltd and path breaking Solar Research and Development Company, KGDS Renewable Energy Private Limited.